Contrasting grout colors continue to receive attention as this trend increases in popularity, particularly for homeowners. A pop of color can really bring a room together, and using contrasting grout colors in conjunction with your tile is no different—it can make a very big impact on your space. Contrasting colors oftentimes work well together. The colored grout adds a certain element of versatility to your space as it is now considered an element of design (and not just function). 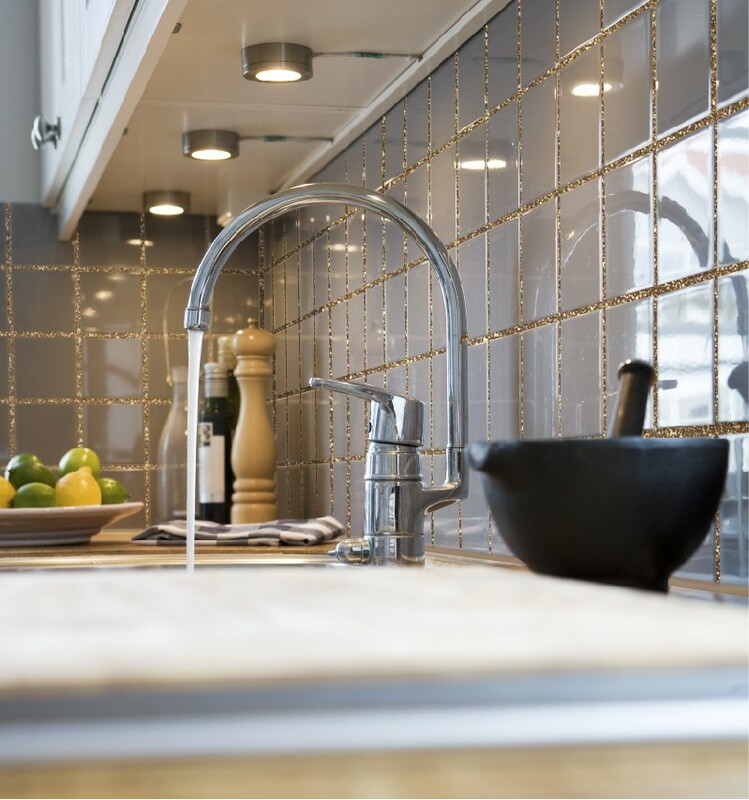 Whether you’re looking to add a fresh look to your bathroom floor or a splash of color to the kitchen backsplash, grout is not just a necessary substance for setting tile and filling joints, but an aesthetic choice that adds to the room’s ambiance. Colored grout also acts as a focal point as it draws attention to the tile pattern, whether that is the intricacies of the individual tiles or the overall pattern and sequencing of the tiles as a whole. Before beginning your grout DIY project, make sure you’ve taken the time to assess what will look best. Choose several color samples and lay them adjacent to the tile, and be sure to utilize the Color Selector Tool to try out various color combinations. By opting for a contrasting color for the grout, the grout line becomes more pronounced than if the color had matched the tile. This is an increasingly popular trend, particularly in kitchens and bathrooms, as homeowners looks for ways to bring life to their tile surfaces. Are you ready to try your hand at contrasting grout colors for your next tile DIY project? For inspiration and design trends, visit the TEC® Skill Set™ Houzz and Pinterest pages and TEC® How-to Install Guides for ideas and step-by-step instructions.